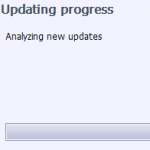 Is anyone else fed up by software continuously updating itself? It would seem that computer programmers no longer spend time checking their software for bugs. Instead software seems to be shipped with errors for the first customers to identify and alert the publishers about. The errors are then fixed with downloadable patches. Time wasting. I first noticed this problem with computer game consoles. I have a Playstation 3. I use mine less now, so whenever I do turn it on, a new software update has typically been released. This then has to be downloaded and installed before you can do anything. But after all that it then turns out that the games themselves require updating before use, which again requires downloading and installing. 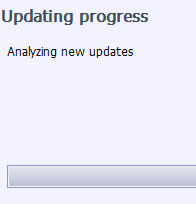 In fact most brand new computer games require updates before use. Interfering updates. While all that can be time consuming, the really frustrating thing is when updates cause problems with software which had been working fine. For instance my Sat Nav stopped working when I tried to update the maps on it. I had to bring it back to the shop where I bought it. Also a ‘plugin’ programme update prevented me from accessing The Helpful Engineer website for a while. I had to get a programmer to sort out the problem, thanks again Ian. Microsoft has tried to allow people to plan for updates by releasing theirs regularly on the same day. This is the second Tuesday of every month and is now known as Patch Tuesday. On smart phones the craze for updating has become daft. Why, for instance, does the Solitaire app have to update itself regularly? Or the flashlight app? What could possible need to be regularly updated on these. Do the updates need updating? Perhaps I am a bit envious as well. When structural engineers design buildings we have to get it right first time. We can’t press a button later and fix problems remotely. Any ‘updates’ to buildings are not as free and easy as downloading a software update and are rightly not acceptable to clients. A useful tool abused. It’s a pity that updating has been abused in such a way. Initially it was an incredibly useful tool that the software developer had. But instead of being used correctly (sparingly), it has been abused to hide inefficiencies and boost profits. I can only see the problem getting worse in the future unless regulations are introduced. Maintaining many separate devices with up to date software is a time consuming process. So one simple answer to save time is simply to reduce the number of computers, tablets, smart phones etc you have. And then to go through the programmes you have installed and remove the ones you don’t need. Speaking of software updates, I recently bought a new SMART TV. I’m quite happy with it in that I can surf the web and check emails etc. But recent media attention highlights the security risk with these internet linked home devices with no anti-virus, no firewall, and basically no security whatsoever. They are vulnerable to hackers who can potentially take over your TV at home. With built in Webcams to the devices, someone can be watching you at home without you knowing. I can only assume the TV runs similar to a PC but since it’s on different OS, hackers pay less attention to them than they do with PC I think. I would avoid doing anything other than browsing on the TV.